One of the most truly unique products in golf. 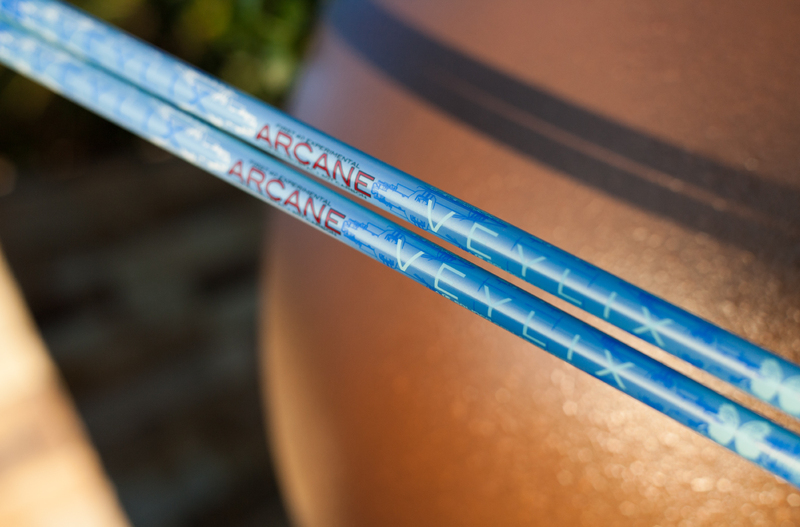 Veylix Arcane – Liquid Reveal features 74% 40T Carbon, 11% Liquid Crystal Polymer, and a 15% mix of 36/30/24T Carbon. The unique Wildeye Reveal finish begins as ice blue when away from UV light and shift to indigo full UV. Unlike a color-shifting chameleon paint, Wildeye Reveal makes a full color change and continues changing throughout the swing. 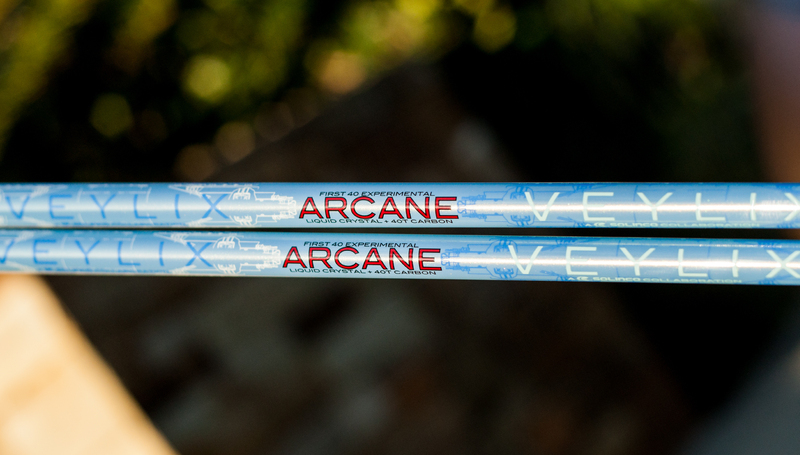 The mixture of high modulus, low resin 40T Carbon and high strength, high modulus Liquid Crystal (5x’s stronger than steel) allows Arcane to deliver a mid-high, flat ball flight without added spin or vibration. Available in 640T (68-70g, 3.33 torque) starting 3/31/2014.